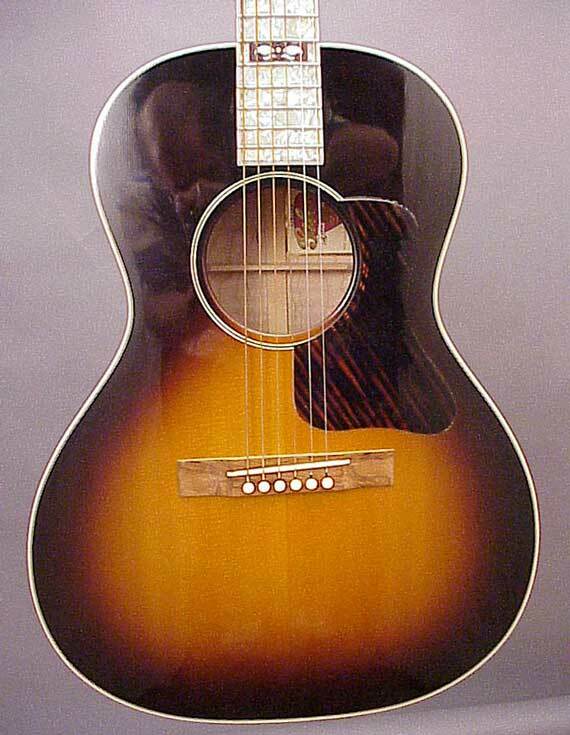 I like this amazing guitar because it sounds really good, and because it's a classic Gibson combination of materials and styles with little regard for tasteful design. 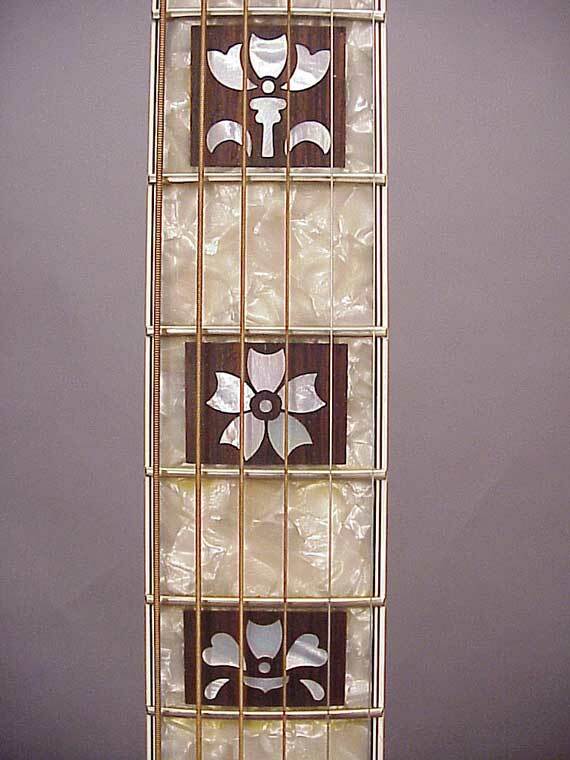 The "mother-of-toilet-seat" pearloid (celluloid) fingerboard and peghead overlay are inlaid with chunks of rosewood, which are in turn inlaid with mother-of-pearl. 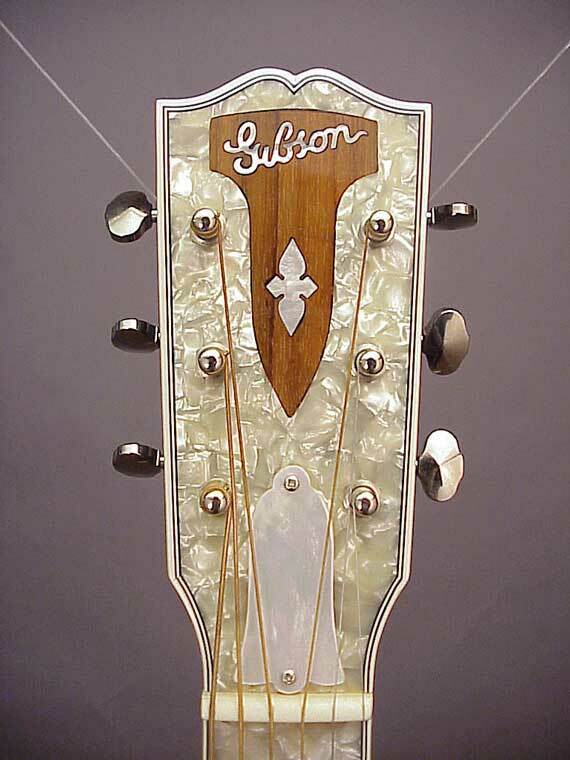 Now, if you're into banjos at all, you'll recognize that Gibson used some of their leftover Bella Voce DeLuxe banjo fingerboards and cut them up for these inlays. Good recycling, don't you think? 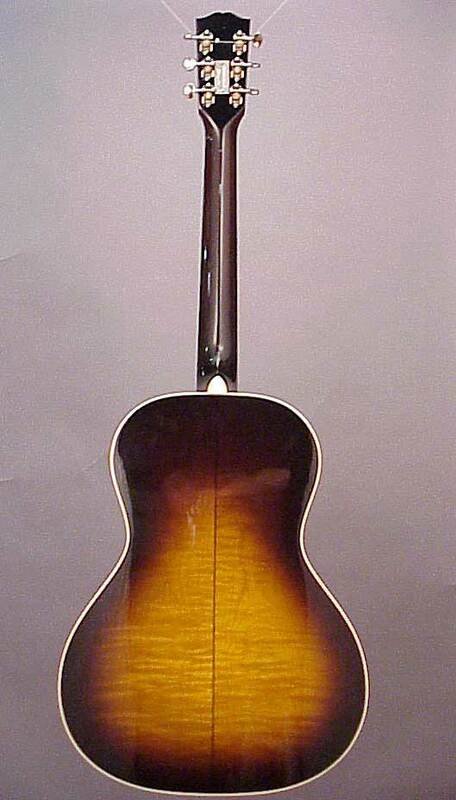 The L-Century features a maple body with spruce top, and a full sunburst finish all around. This particular guitar is actually a reissue of the original and was made in 1994. 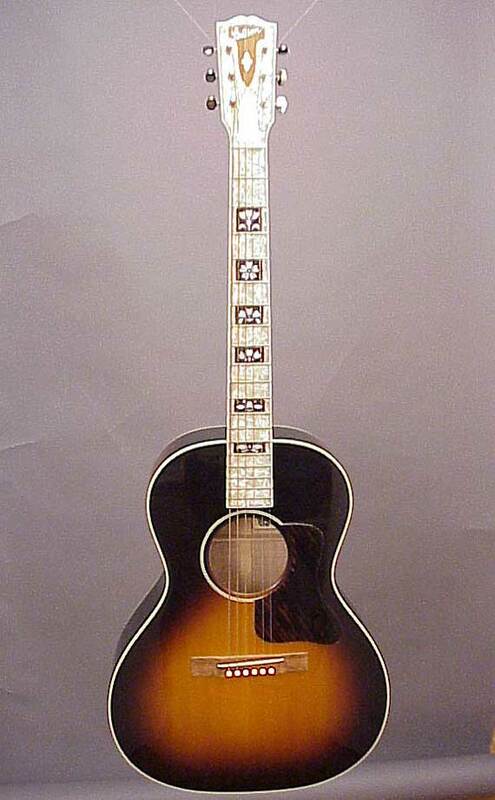 Gibson went to the trouble of recreating all the original decorative elements very nicely, but chose to name it the "Centennial Special" in honor of their hundredth anniversary in 1994. Never mind that the Gibson company was founded in 1902. 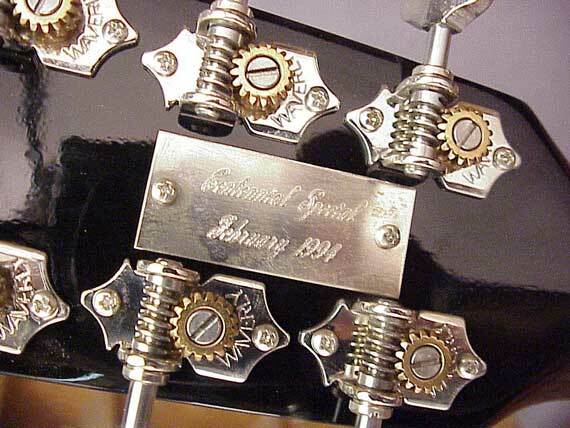 BUT, there is an 1894 patent in Orville Gibson's name, so if you stretch the issue. . .